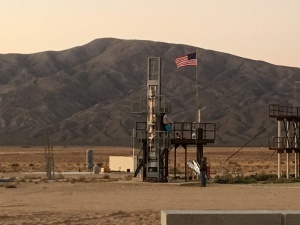 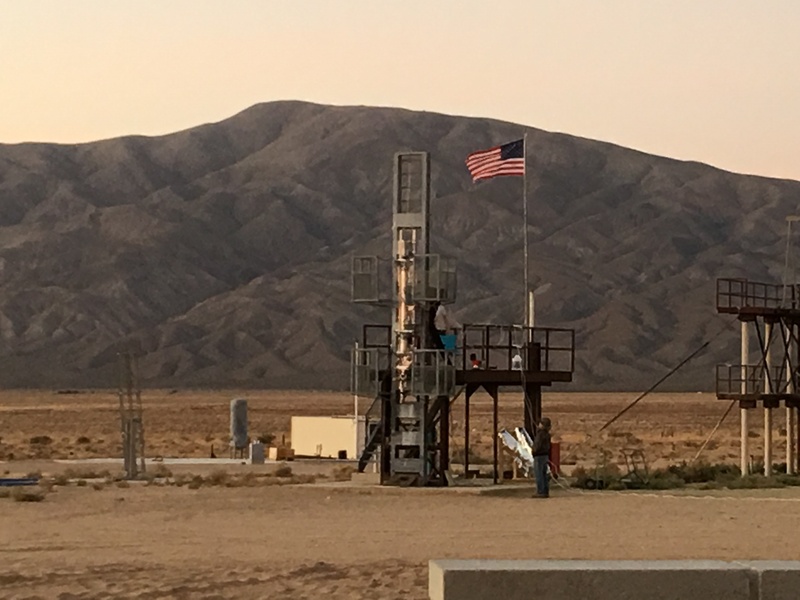 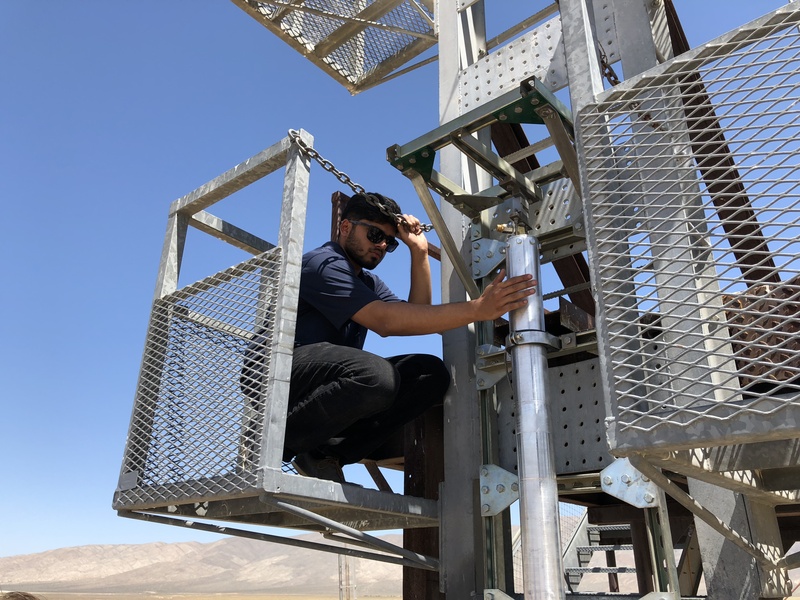 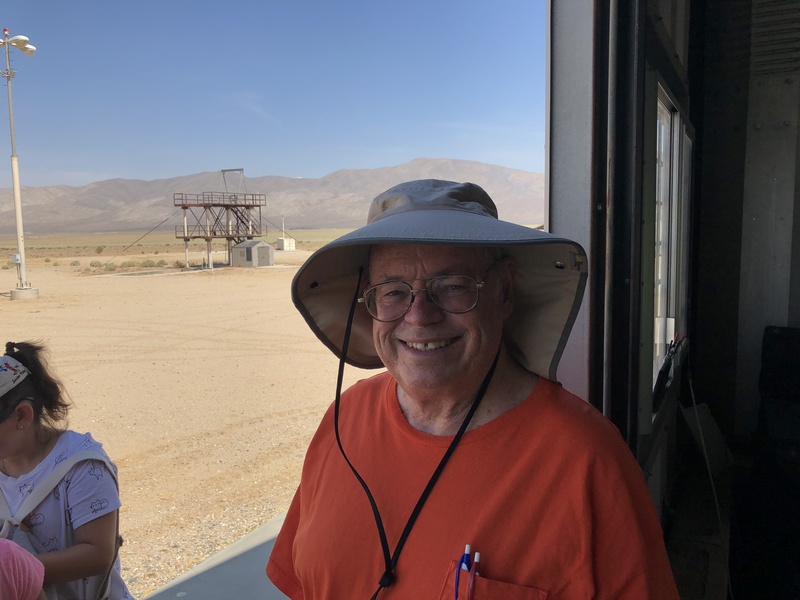 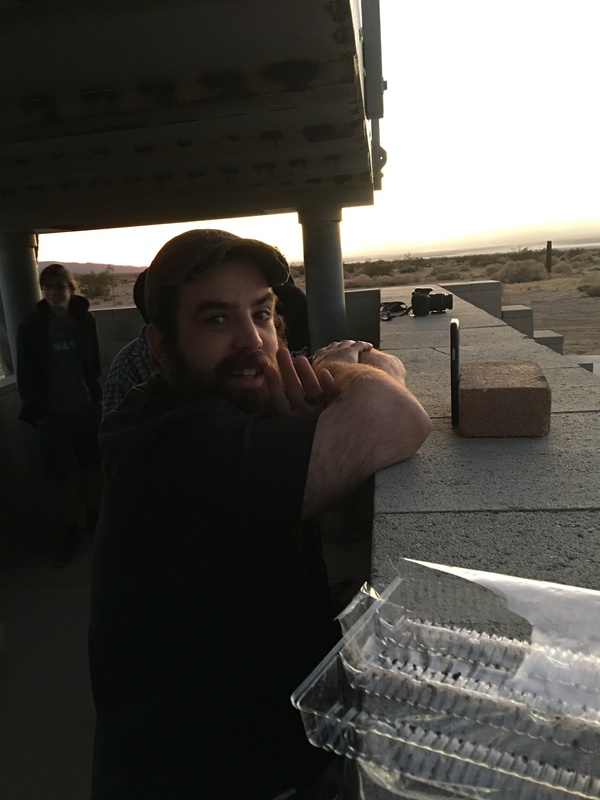 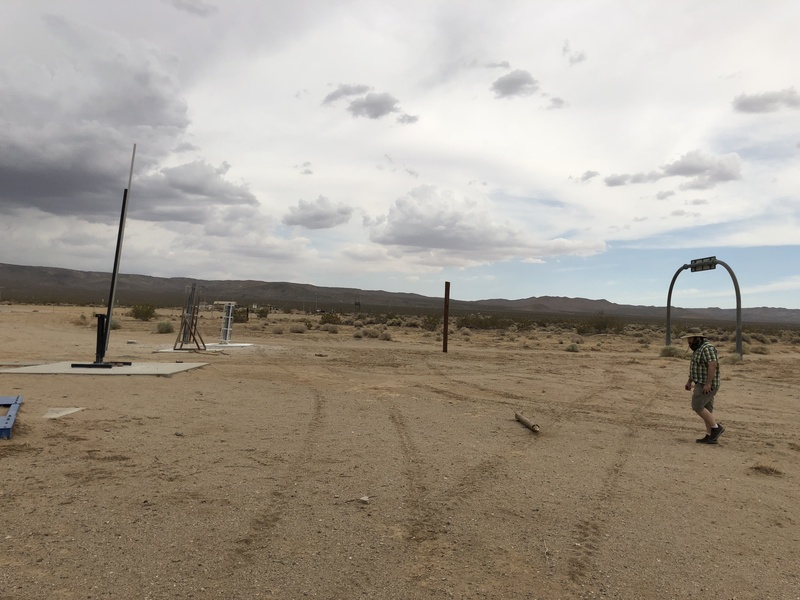 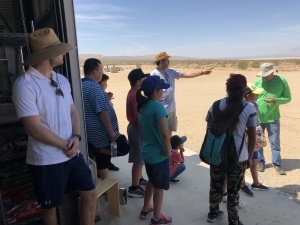 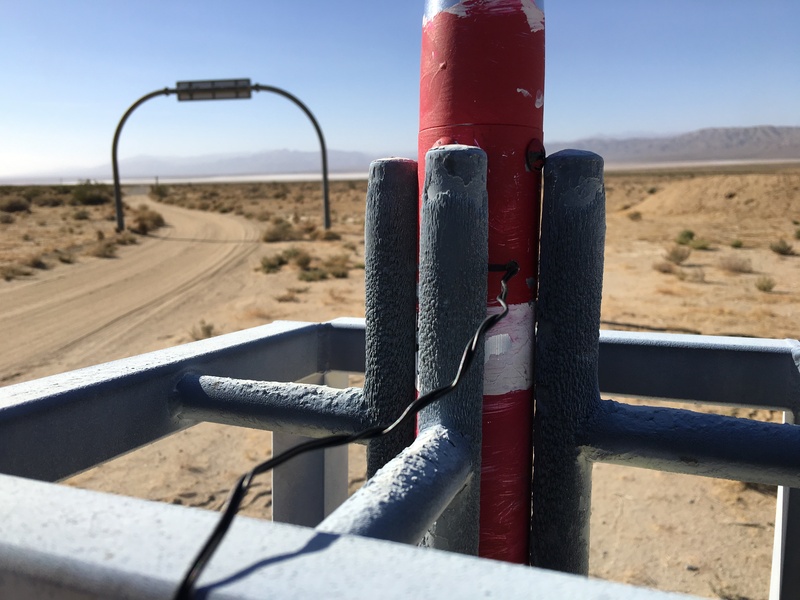 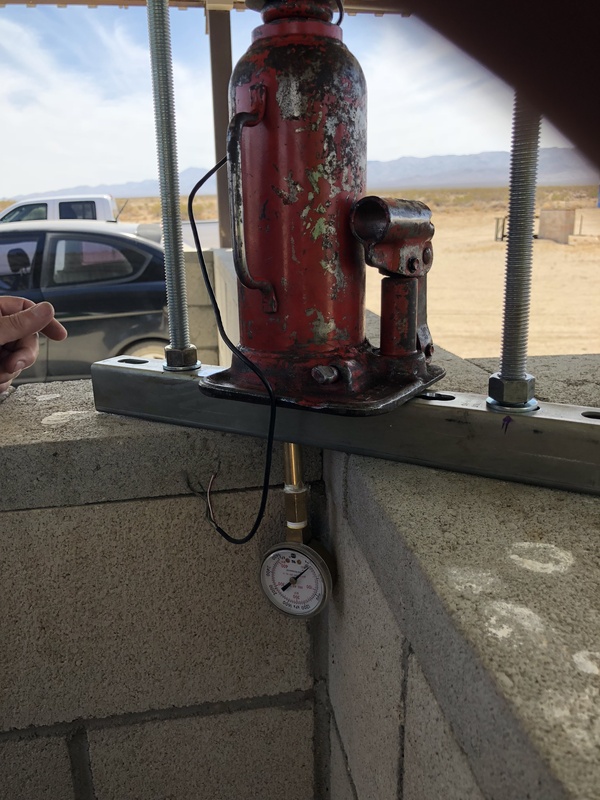 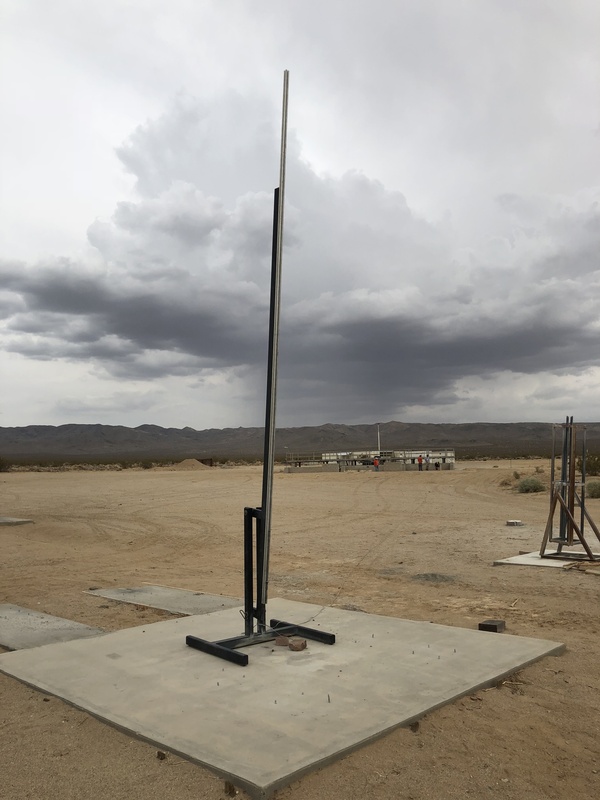 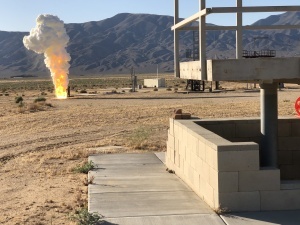 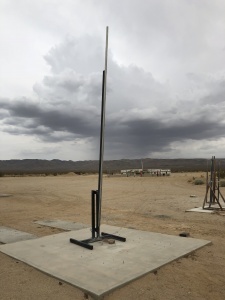 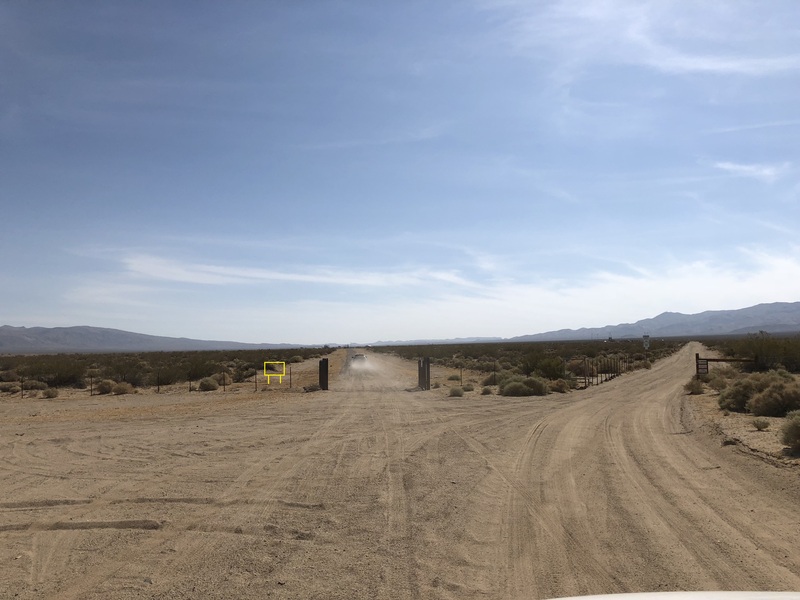 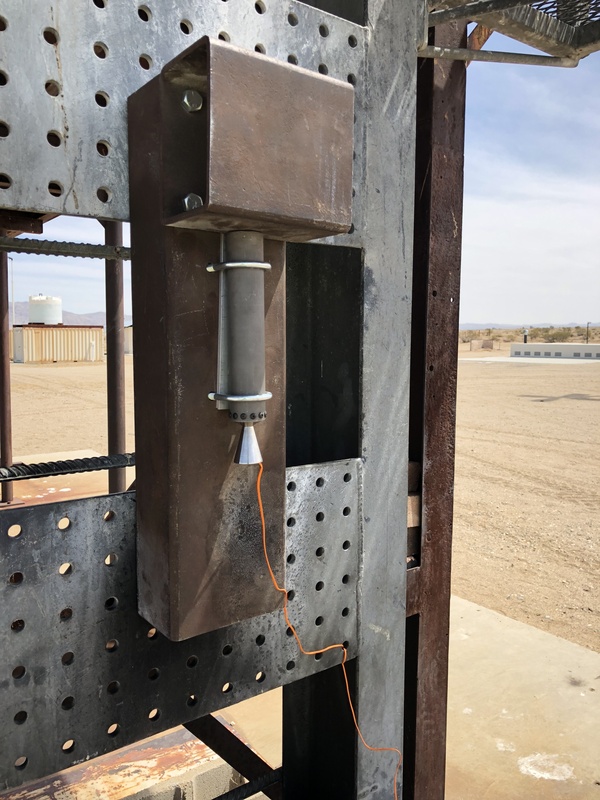 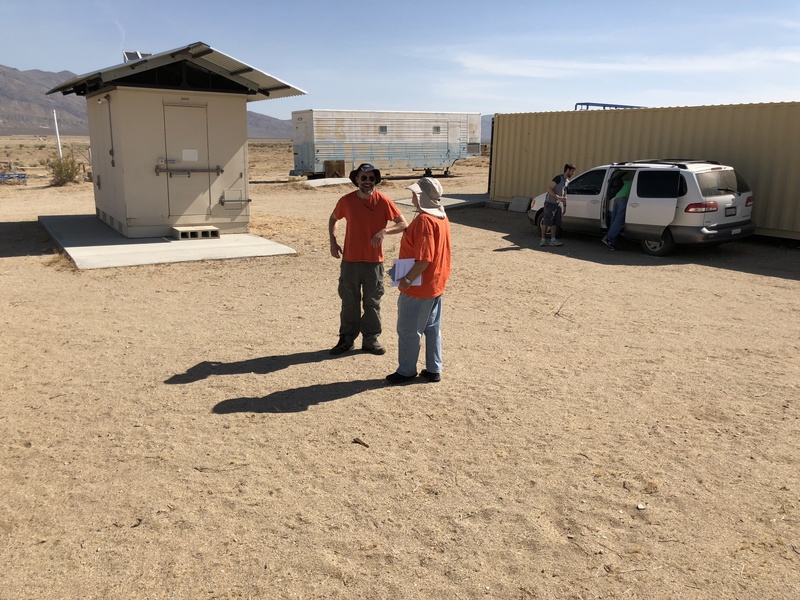 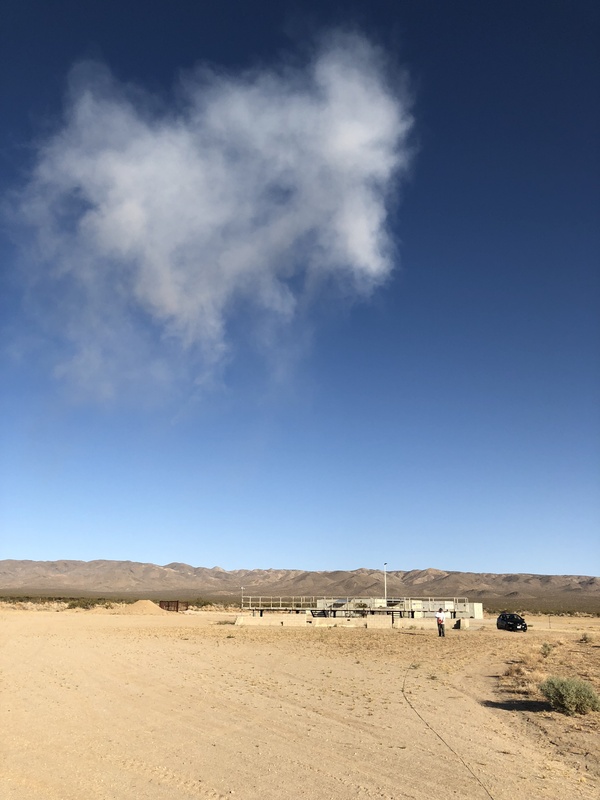 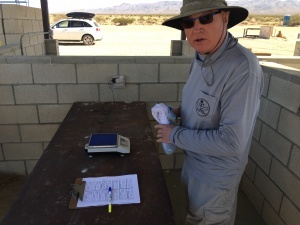 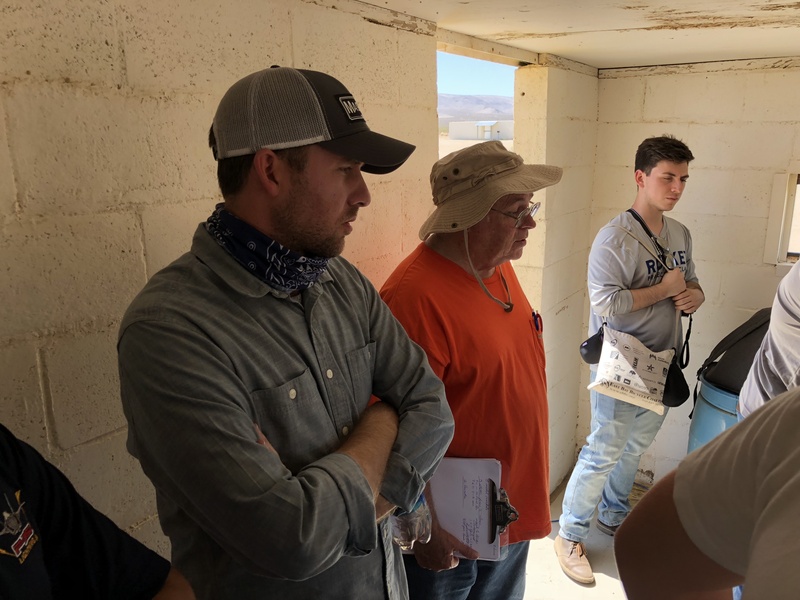 The RRS held a launch event with the Imperial Courts class on November 18, 2017 at our private Mojave Test Area (MTA). 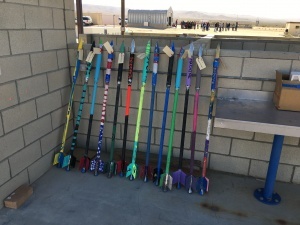 This launch event was the latest in a series of events we’ve had through the support of the LAPD CSP program. 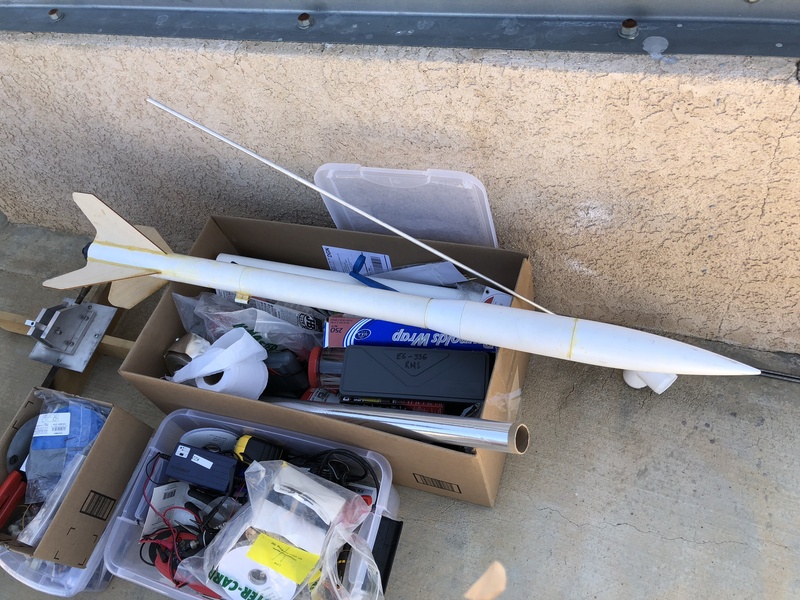 The event had 13 alpha rockets including 3 of these having smoke tracers in the payload section and the last one with a pair of keychain cameras on the tail. The USC Impact News crew was also in attendance to document this last event in the series with the Imperial Courts class. 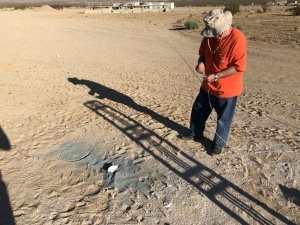 Dave Crisalli was our pyro-op for this event. I was glad to assist on the loading and launching operations. 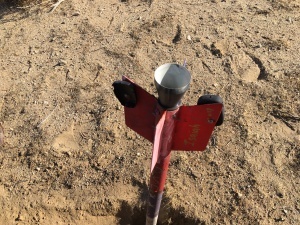 One of the keychain cameras was only a dummy to balance the rocket. 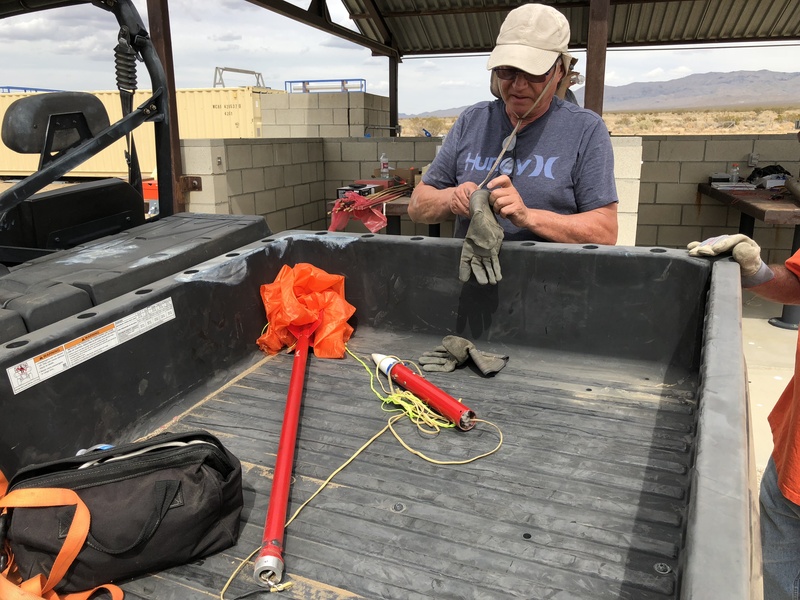 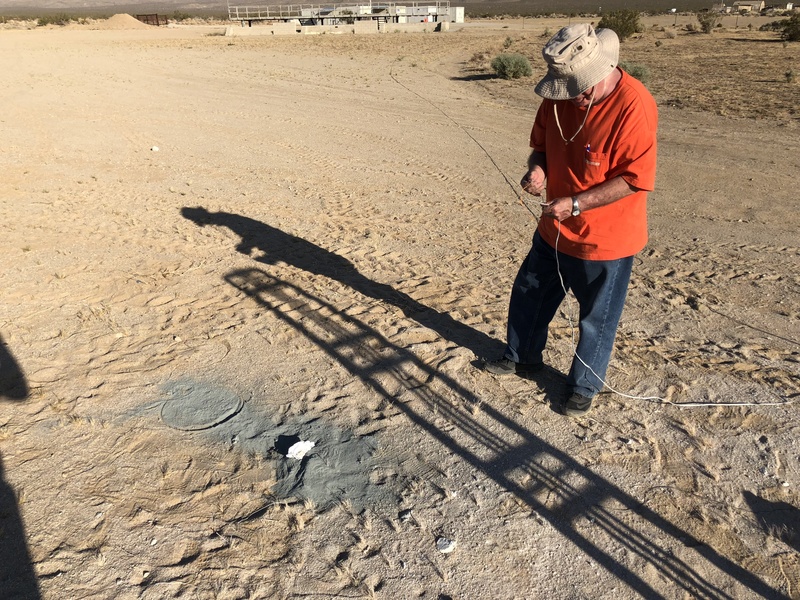 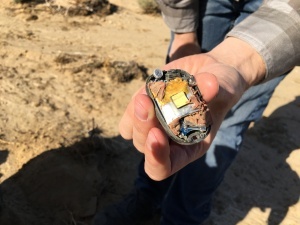 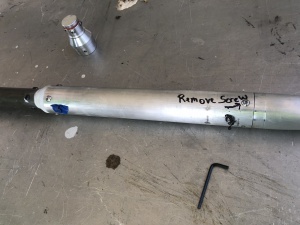 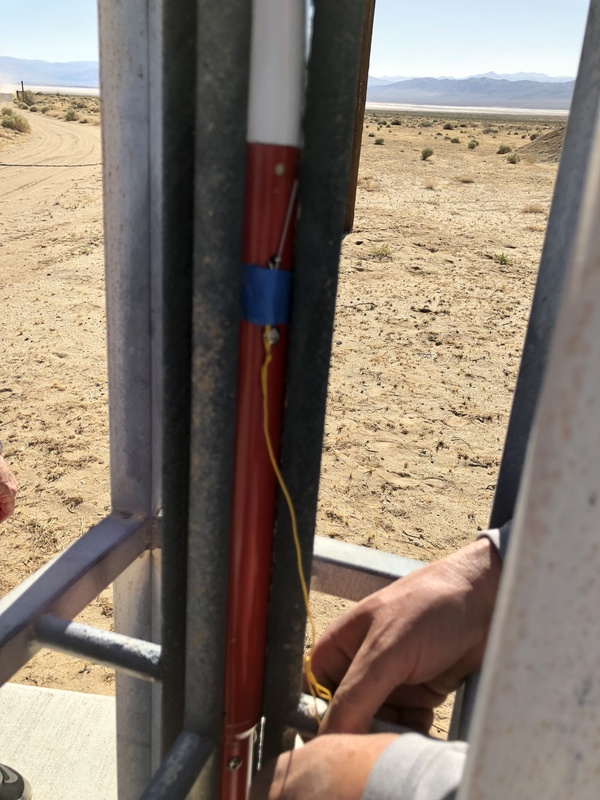 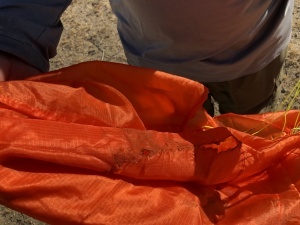 The actual camera was first thought to have been destroyed on launch only to be found a few inches into the soil when the rocket was recovered by shovel. 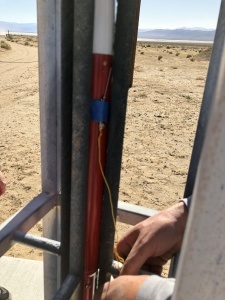 We hope to show the footage if the data on the chip was also intact. 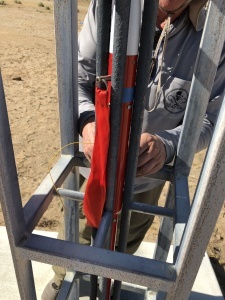 Osvaldo tried a new method of loading of the micrograin propellant in preparing the alphas for this event. 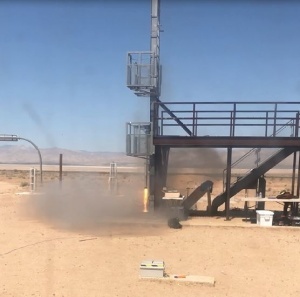 His method involved weighing out the whole propellant load and pouring it all at once in a large funnel being careful not to trap air pockets. 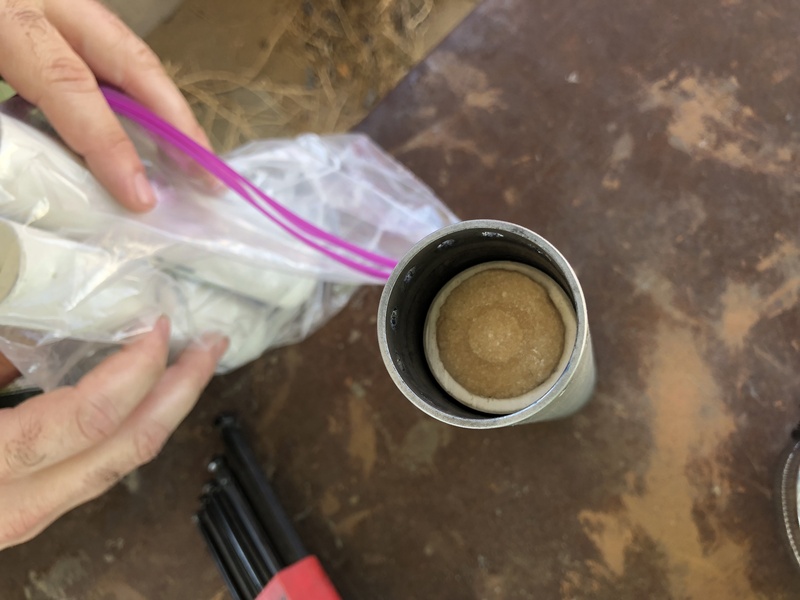 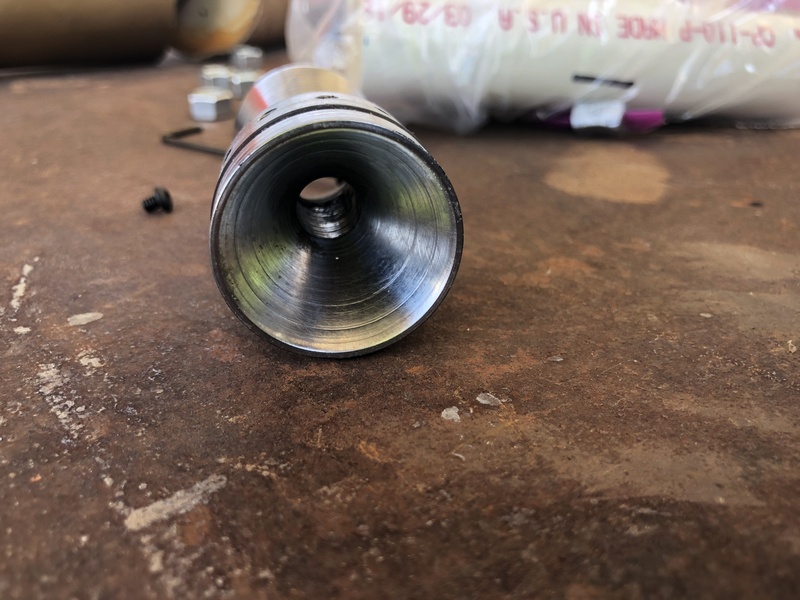 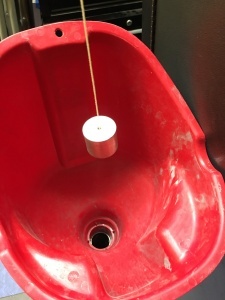 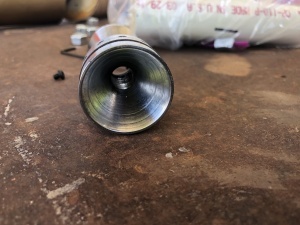 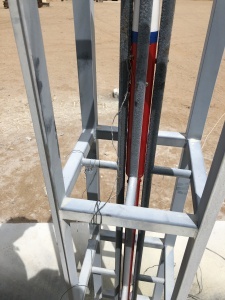 Knocking on the side of the metal tubes with a wooden hammer is done to encourage settling then slowly lowering a heavy machined aluminum piston on a string down into the tube to gently but firmly tamp the propellant down and get a better and more consistent packing density in the tubes. 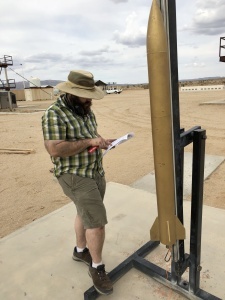 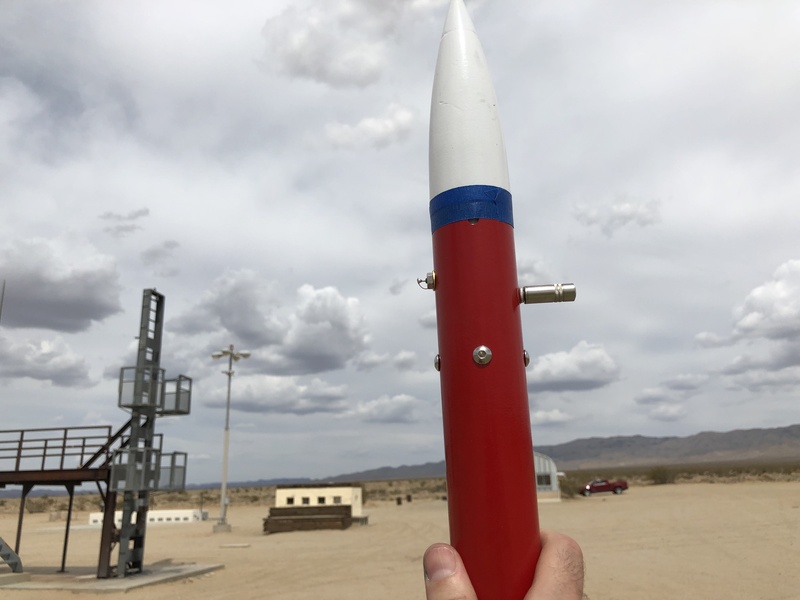 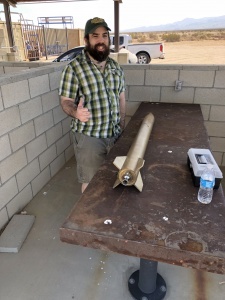 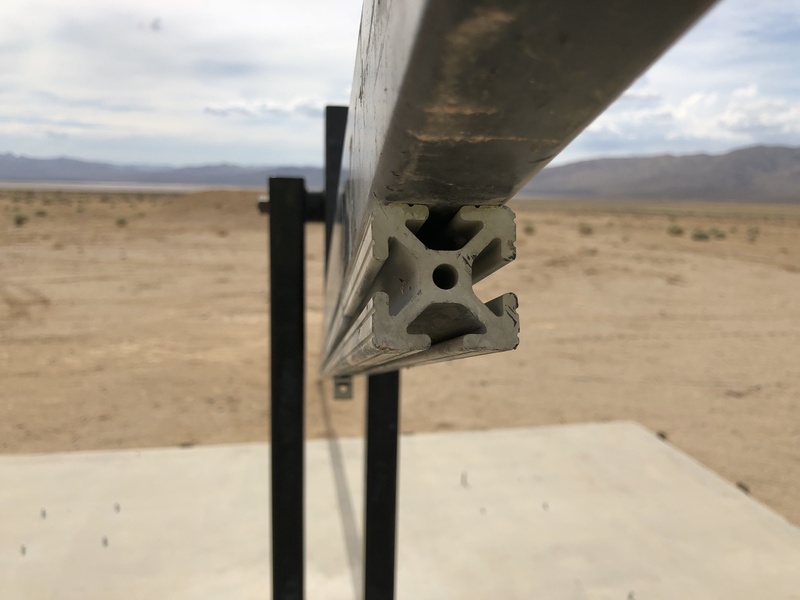 The weight of the loaded alphas at the MTA before launch did show a small improvement by being slightly heavier from more propellant packed in the same tubes. 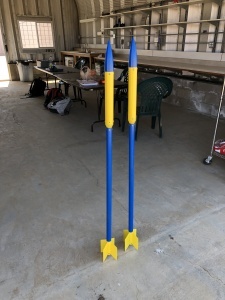 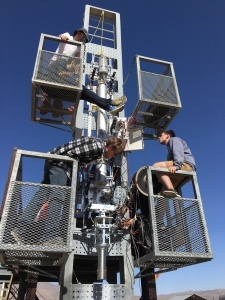 The main advantage was the loading procedure was less messy than the prior method of incrementally loading the powder propellant then bouncing the bottom of the tube on a wood block. 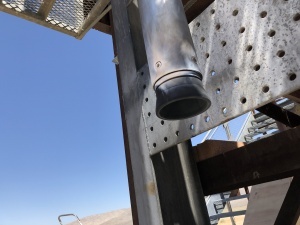 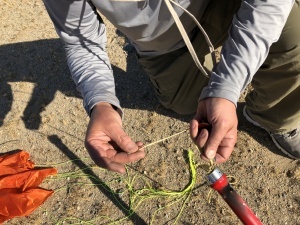 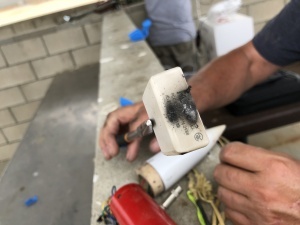 Despite the best efforts with this approach, small air pockets in the packed powder “grain” often results with packets of micrograin burping back up the tube getting on the propellant loader. 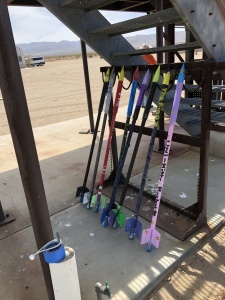 The alphas from Imperial Courts had bright color schemes from each of the individual teams. Having each of the rockets labelled with the paper tags was very helpful in keeping track. 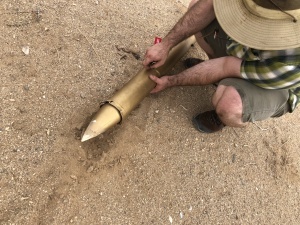 We should continue this practice for future events. 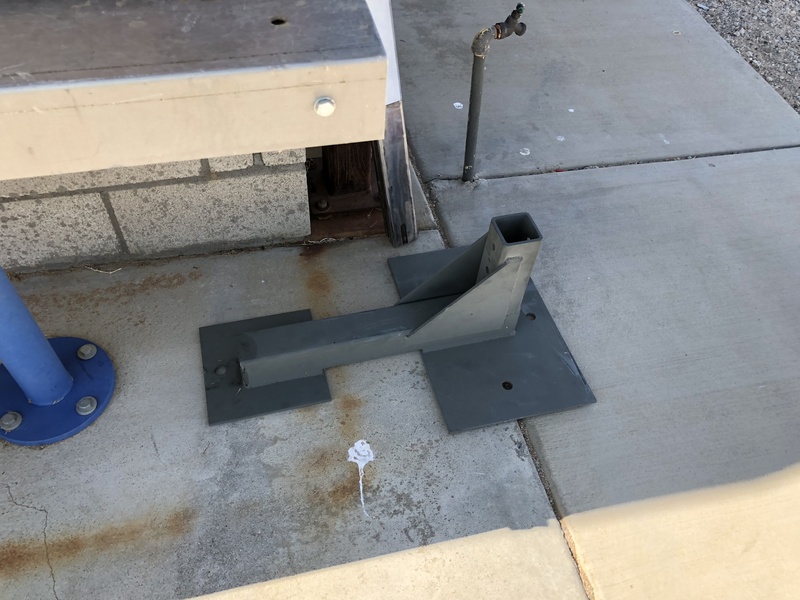 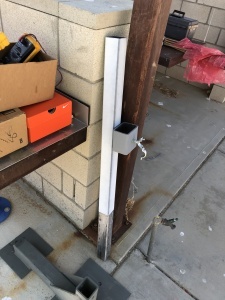 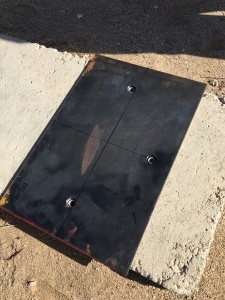 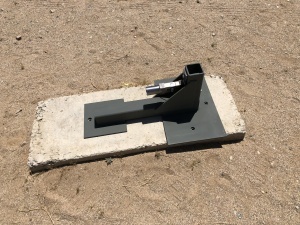 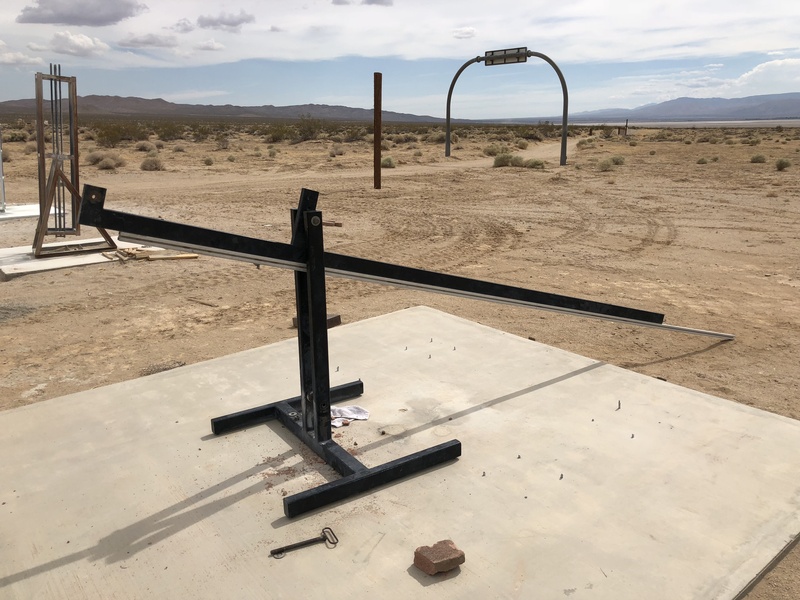 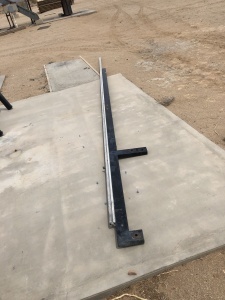 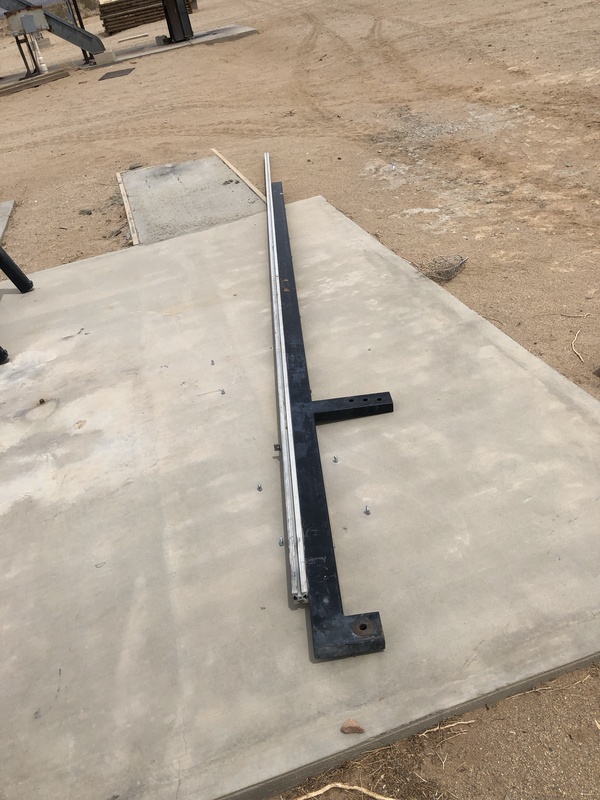 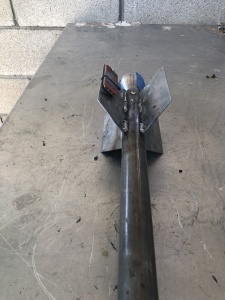 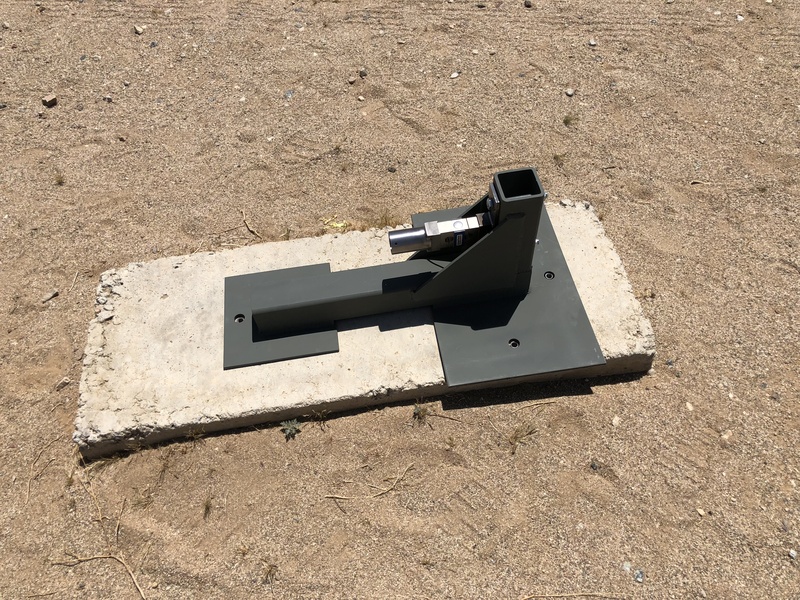 I have been slowly working on a small horizontal thrust stand to incorporate the load cell transmitter donated to the RRS by Interface Inc.
An existing concrete pad with a three anchor-bolt pattern will be used and I have the first piece which is a steel footing plate to mate up with the hole pattern. 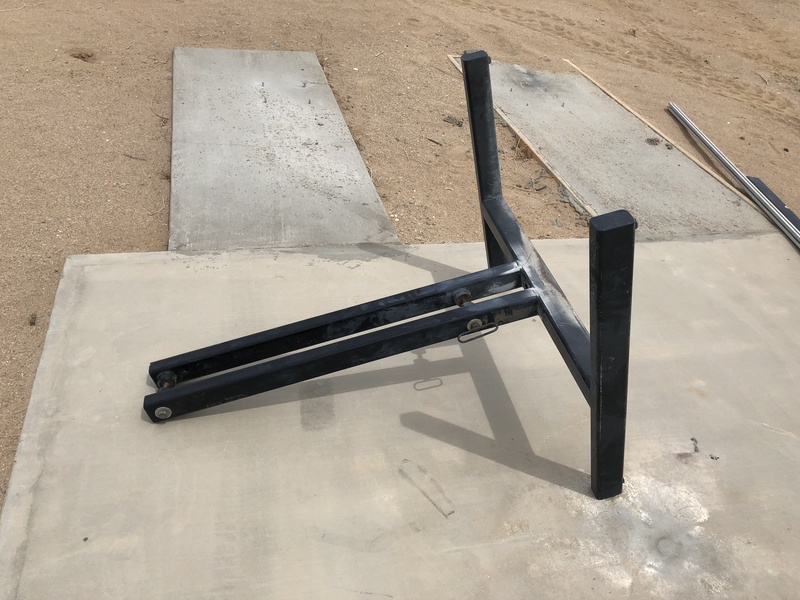 Many thanks to Matt Moffitt of CNC Specialty Machining of Huntington Beach, CA, for his craftsmanship. 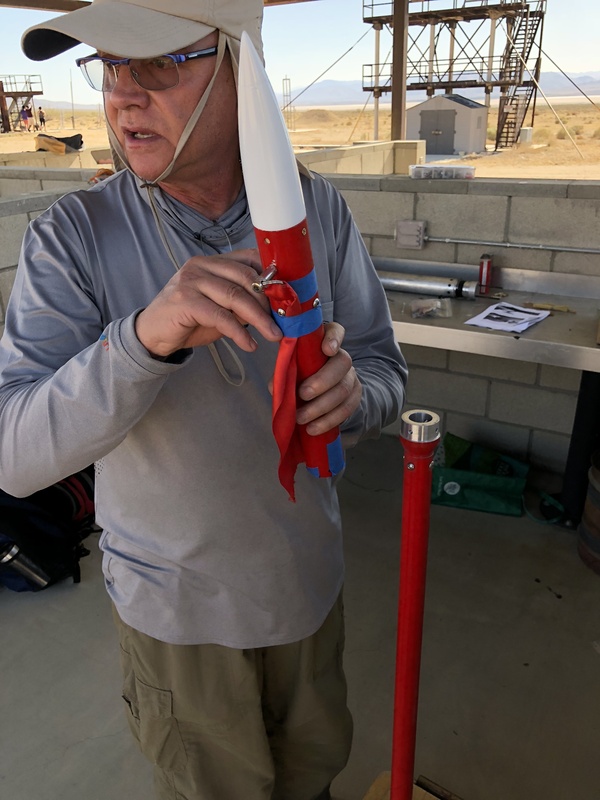 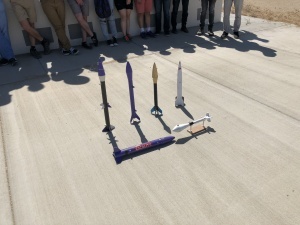 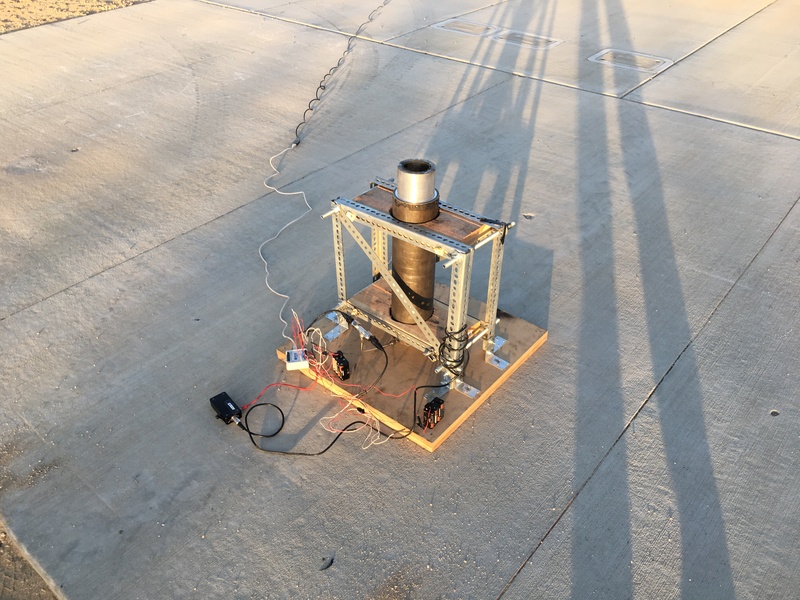 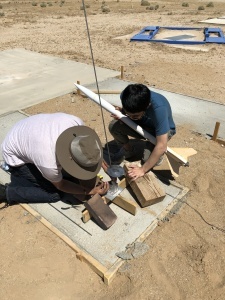 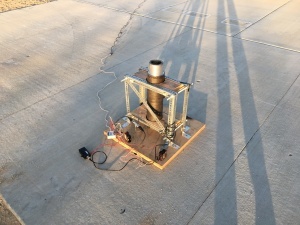 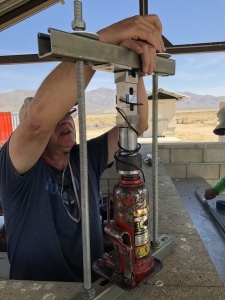 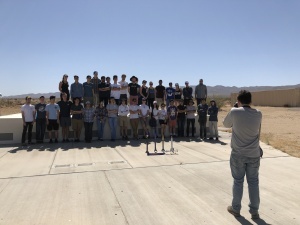 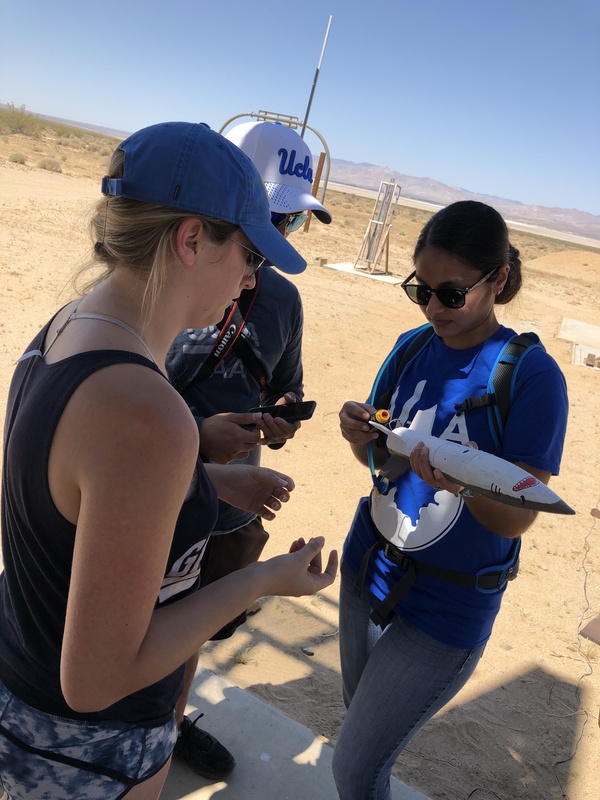 The students of Chaminade High School in Chatsworth also hot-fired their 4-inch solid rocket motors of their own making. 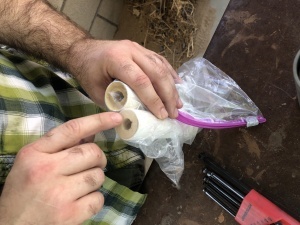 After resolving some problems with the casing, the results of the firing were good. 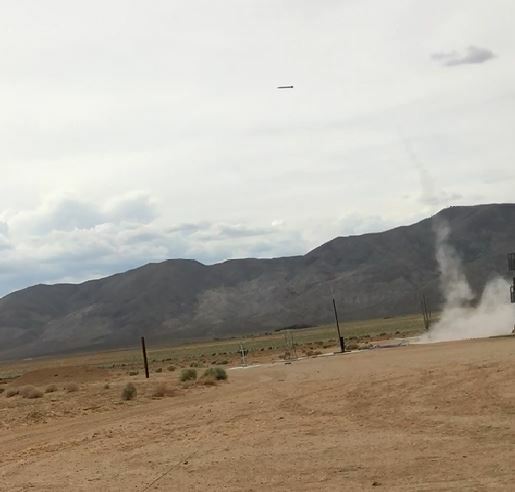 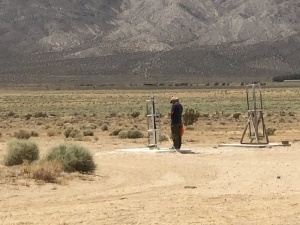 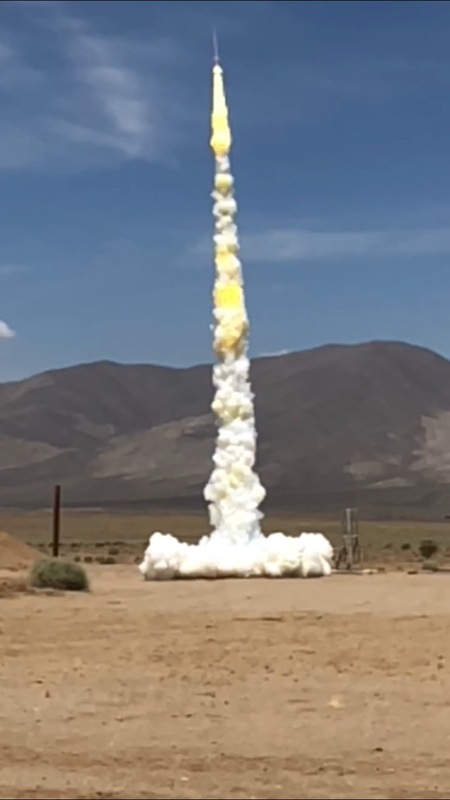 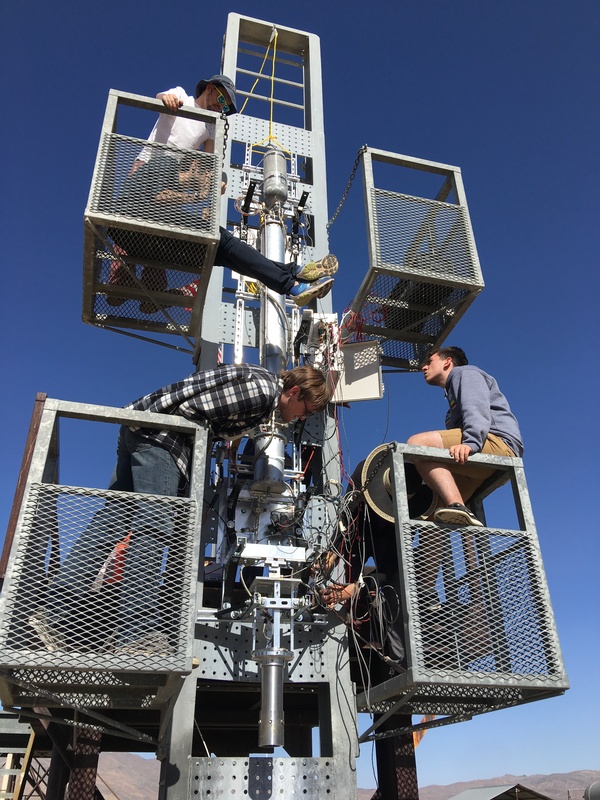 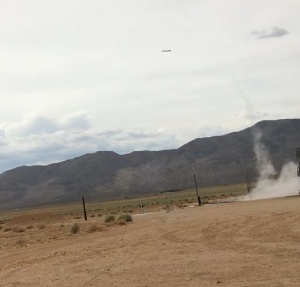 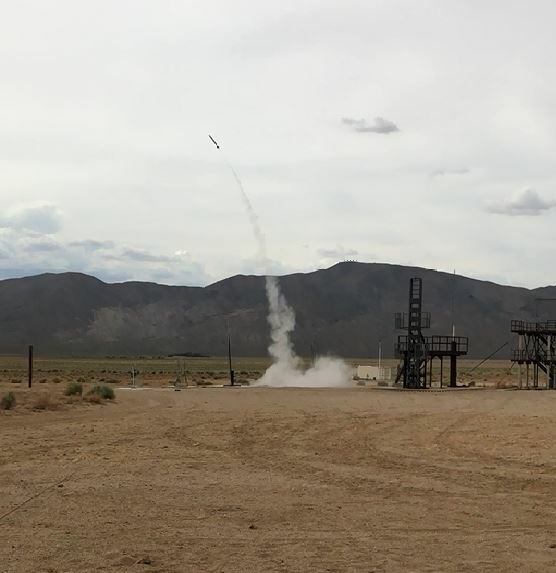 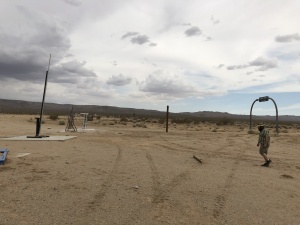 We also hosted UCLA as they hot-fired their liquid rocket. 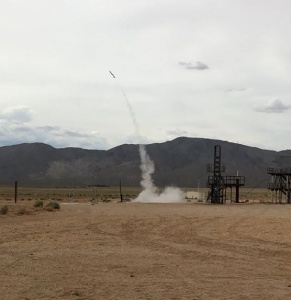 They attached their propellant tanks to one of our thrust frames for a full system demonstration. 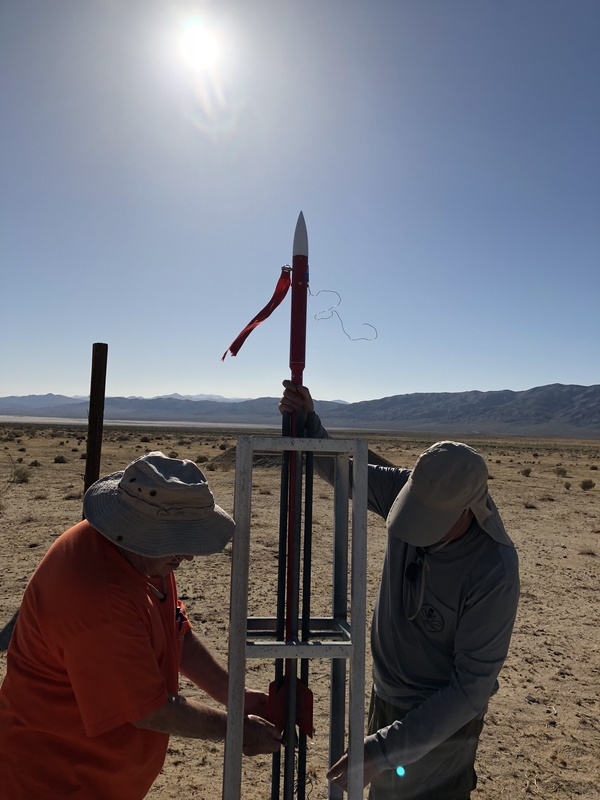 After a lot of preparations and waiting until after sunset, UCLA’s hot-fire did not disappoint those of us who stayed into the cool hours of dusk. Their nitrous-oxide and kerosene liquid rocket fired for full duration and to what looked like great results. UCLA fires for full duration. 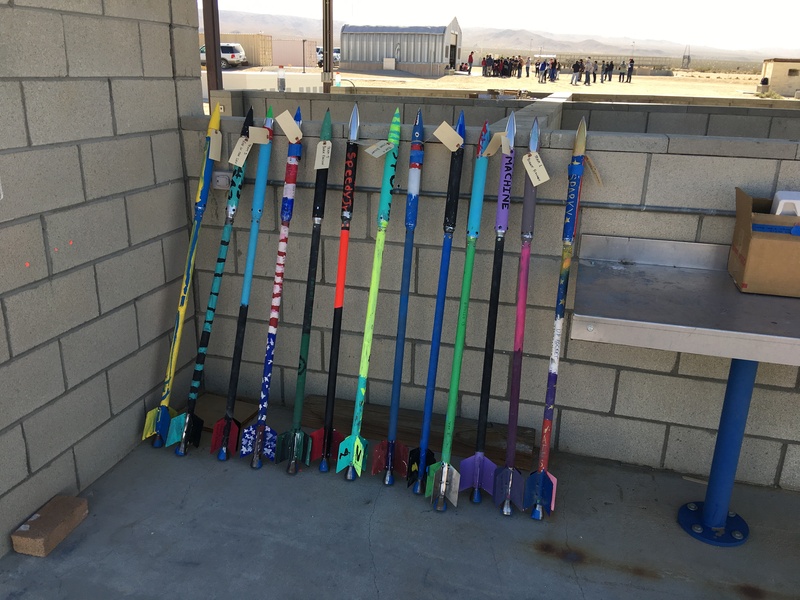 We thank all of the parents and the LAPD officers who made the event a success. 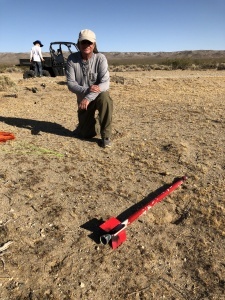 Also, many thanks to Dave Crisalli and the RRS membership who helped with the hundreds of things that needed to be done. 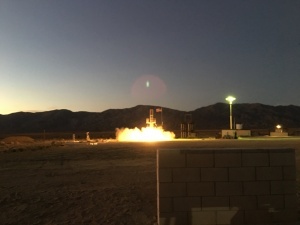 We look forward to the next launch event at the MTA early next year.